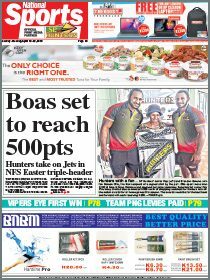 Lynchill Kiap, of Mt Hagen, and Charles Kirimbui of Port Moresby are the winners of City Pharmacy Ltd’s ‘Win a Family Trip Home to Your Village’ nationwide promotion. Kiap was the winner of the first prize package of six PNG Air return tickets to any PNG Air domestic destination, while Kirimbui was the winner of three PNG Air return tickets within PNG. CPL said in a statement that thousands of entries were received from over 30 CPL stores nationwide. 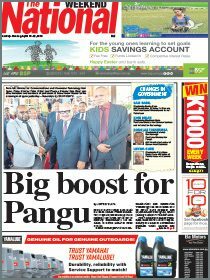 The winners were announced in Port Moresby last Friday. “The promotion ran from Oct 15 to Nov 18,” CPL said. “Customers simply had to spend K50 or more to enter the promotion. “We were pleased to announce that the first prize winner actually came from a Mount Hagen customer, while we had a mix of Port Moresby and other centres as winning entries. “Our first and second prize winners couldn’t be happier and are planning to use their PNG Air tickets to definitely go home this Christmas. “Other minor prize winners of K1000 cash were also drawn from entries received from all City Pharmacy stores nationwide. “It was a timely promotion that would allow customers the chance to win a trip home to the village in Papua New Guinea just in time for Christmas.